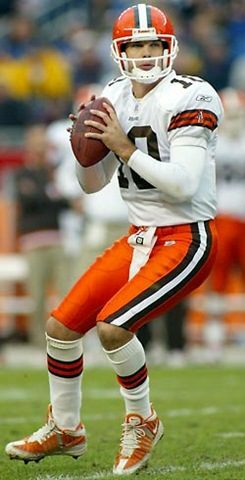 One of my favorite Browns and favorite people Kelly Holcomb joined me to talk about the pistol offense now being used in the NFL, the risks of a running QB and Middle Tennessee football for whom he does color on the radio broadcast. Ken Becks of 1stdownscouting.com/1st down joins us to talk about scouting offensive linemen. 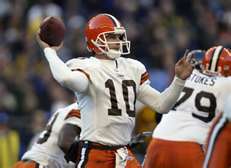 Former Browns QB Kelly Holcomb joins us to talk about the transition from college to the NFL for a quarterback. He also talked about a charity with which he works A Soldier’s Child Birthday Foundation www.asoldierschild.org. Tim Bielik, Buckeye and Browns beat writer for the Loraine Morning Journal joins us to talk about the Bucks football recruiting and the Browns training camp. Jon Dove NFL writer joins us to talk about the 2012 NFL season. Ben Nicholson-Smith of mlbtraderumors.com joins us to talk about the Indians trade options and other rumors around the trade deadline. Our NNR Sportsims.net football league will start in July. The league is free to our listeners and readers. Email me at [email protected] to register. The draft order will be determined by the date of registration. NNR at 6PM EDT follows the Moohead show at 5PM on http://mooheadradio.com/2.0/. Press the Green arrow at 6 for NNR. Comments: Comments Off on Monday on NNR Doug Upstone and a replay of the Kelly Holcomb interview. Monday on NNR Doug Upstone and a replay of the Kelly Holcomb interview. Monday on the Radio version of NNR Doug Upstone of Statfox.com joins me at 6:15 to talk about the odds for the NBA and NHL Playoffs as well as the chances of the Indians and Browns in 2011. Because of the great interview with Ken Becks of 1stdownscouting.com we did not get to the replay of the Holcomb interview. At 7:15 I will replay the interview with former Browns QB Kelly Holcomb. That plus your calls and the winner of the call of the week prize starts at 6 PM EDT on http://mooheadradio.com/2.0/. Tonight on NNR we have a replay of the interview I did with Kelly Holcomb at 6PM EDT. After that, it is NFL Draft talk until 8 PM. Please join us on Moohead Radio or fryingpansports.com. Comments: Comments Off on The Raiders signing QB Jeff Garcia was a mistake. The Raiders signing QB Jeff Garcia was a mistake. What has held the Raiders back for the last few years? No, I mean beside having Al Davis calling the personnel decisions! It has been the lack of development of QB JaMarcus Russell. The Raiders signed QB Jeff Garcia this week to a one year contract. Garcia is exactly the wrong guy to bring in where a young QB is struggling. Garcia is not someone that will help develop a young QB. In fact, he will likely retard the development of Russell just by being in the locker room. IF Garcia is the starter, he will totally ignore Russell. Garcia was a Brown in 2004 when the team had a young QB Kelly Holcomb on the roster. Garcia was the starter and according to reports from several players on the team, Garcia refused to do anything to help develop Holcomb. Holcomb had potential but never developed the way he could have with a true mentor. Garcia could have provided that for him but the starter chose not to. Garcia was not the only thing that prevented Holcomb’s development but it was a contributing factor. The lack of quality coaching and a decent front line had a lot to do with it as well. But Garcia is going to be the backup to Russell. That is worse for Russell’s development. Bet on Garcia doing everything he can do to split the locker room and reduce Russell’s chances for success. The reason that Garcia accepted a minimum contract is that he felt that Russell had a better than average chance to fail. That would make Garcia the starter. Davis wants Russell to succeed. That is the only thing that is going to justify Davis’ picking Russell with his first pick. Russell has a ton of physical ability. Up to now, he has lacked the work ethic to turn potential into performance. Former head coach Lane Kiffin tried to convince Davis that Russell was a bust. That was one of the things that got Kiffin fired. There is some light at the end of the tunnel for the Raiders and for once it isn’t an on coming train. In an interview at the owner’s meeting, head coach Tom Cable agreed that QB JaMarcus Russell needs to develop a stronger work ethic in order to become an elite quarterback. Now Russell has another problem—Garcia working behind his back. Good luck with that JaMarcus! You’ll need it.